who died Nov. 3rd 1899. Aged 85 years. 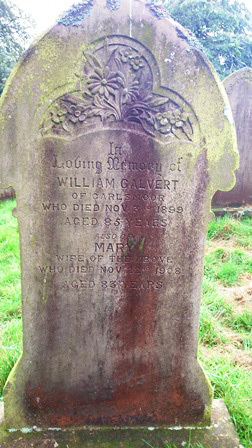 Also of Mary wife of the above who died Nov. 22nd 1908. Aged 83 years.